Climbing to the top of the social ladder is hard--falling from it is even harder. Regina Afton used to be a member of the Fearsome Fivesome, an all-girl clique both feared and revered by the students at Hallowell High... until vicious rumors about her and her best friend's boyfriend start going around. Now Regina's been "frozen out" and her ex-best friends are out for revenge. If Regina was guilty, it would be one thing, but the rumors are far from the terrifying truth and the bullying is getting more intense by the day. She takes solace in the company of Michael Hayden, a misfit with a tragic past who she herself used to bully. Friendship doesn't come easily for these onetime enemies, and as Regina works hard to make amends for her past, she realizes Michael could be more than just a friend... if threats from the Fearsome Foursome don't break them both first. Courtney Summers, wow. She really knows what she's doing. If you remember, I just reviewed Cracked Up To Be last week, and loved it, of course. And I'll just tell you this... Some Girls Are doesn't disappoint! The little blurb above pretty much says it all, so I'm not going to go into details on the specifics. But, just imagine... the movie Mean Girls meets Speak by Laurie Halse Anderson. Throw a cute boy (Michael... sigh) into the mix and we have Some Girls Are. Doesn't that sound exciting! This book completely blew me away. I mean, these girls are really mean! Like [cue physco killing music] evil. And the ending... I love me a happy ending! Makes me feel all warm and fuzzy. I love the warm and fuzzies. So if you like to read about mean girls, high school drama, or boys, this is the book for you! Be sure to pick up your copy of Some Girls Are! I promise you'll love it! PS - I'm thinking up a Super Awesome Contest with mega cool prizes for you all right now! Details ... coming soon!!! That does sound SUPER fantasitic! That's cool about the contest and I liked your review. I haven't read either book or seen either movie but it looks interesting. Lady, how quick do you read?! I know I had my weekend of binge reading, but that was like a one-time deal! I've seen that one in a few places--sounds good! And what a cool trailer! Great review! Can't wait to see what kind of contest you are cooking up!!! Wow. That sounds like quite the interesting story. I'm going to add it to my list of ones I need to read. Great review. 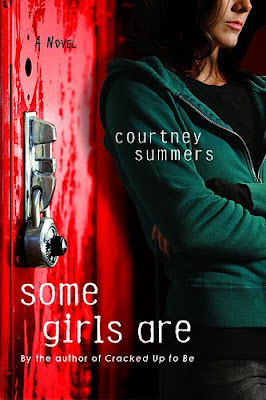 Courtney Summers is just an amazing writer!! Ohhhh, sound fab. What a cool trailer, too. Very creative. Love how it uses the gossip/letter-writing so typical to adolescence to promote the novel. Very clever. Looking forward to your delicious contest, Kimberly! Great review, Kimerby -- and I loved the trailer!!!! Ann - Thanks! Mean Girls is... classic. And the novel Speak is beautiful. You should definitely read them both. 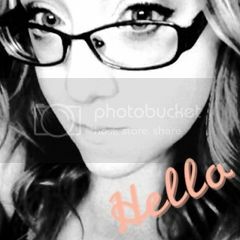 Kristan - Haha... would you believe me if I said I have supernatural reading powers??? No??? LOL. Tiffany - Thanks and back at ya! Summer - It's a great book! You should check it out. Gavin - : ) I hope you do. Have a happy monday! Alexa - Yes, she is fantastic! Carol - Thanks! And that trailer is pretty dope (haha... like my teen speak???)! LOL. Nicole - Same to you! Happy Monday! Dude, I just read this book and loved it! It's like a train wreck you can't look away from. I wanted to take the day off work just to finish it. Elana - I know... you are so right! I loved it, though. Couldn't finish it fast enough!